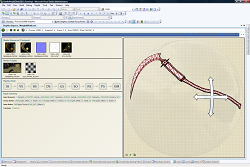 This page contains instructional videos for NVIDIA® Nsight™ Application Development Environment for Heterogeneous Platforms, Visual Studio Edition. These videos are a great resource for enhancing your understanding of all the features Nsight™ Visual Studio Edition has to offer. Each video shows several features, and a simple demo of how to access the feature from the product. Sign up and get information on upcoming online webinars and hands-on labs here. Learn how to profile OpenGL 4.2 application with Nsight Visual Studio Edition 3.2 presented by Jeff Kiel. 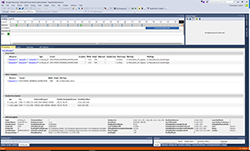 The goal of this webinar is to provide a deeper understanding of how you can use Nsight Visual Studio Edition to do performance tuning for your Graphics applications. Examples provided on instrumenting application with NVTX markers and how to find CPU and GPU performance issues via application tracing and the Nsight Frame Profiler. Corresponding Siggraph 2013 presentations used a similar example scenario. The source code for the examples shown in the Siggraph 2013 presentations are available for download here. 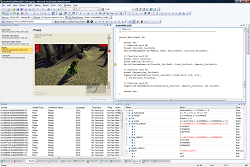 Dan Price presents debugging OpenGL 4.2 with NVIDIA Nsight Visual Studio Edition 3.2. 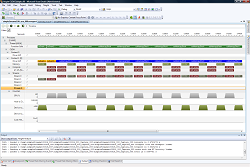 High level overview of graphics debugging on Nsight using IslandsGL technology demo using Nsight VSE Frame Debugger and Shader Debugger features. Optimize code by porting CPU based implementation to GPU and debug results. Discover how the the analysis features of NVIDIA Nsight Visual Studio Edition can guide you in improving the performance of your CUDA application and your CUDA kernels. Using examples of various code patterns and kernel samples, we will discuss ways to spot common performance bottlenecks and implement code optimizations based on measured profiling data. Nsight's new Source-Level Experiments will be used to further dive into analyzing CUDA-C kernel source code - allowing to evaluate performance characteristics from individual CUDA-C source code lines down to each executed assembly instruction. 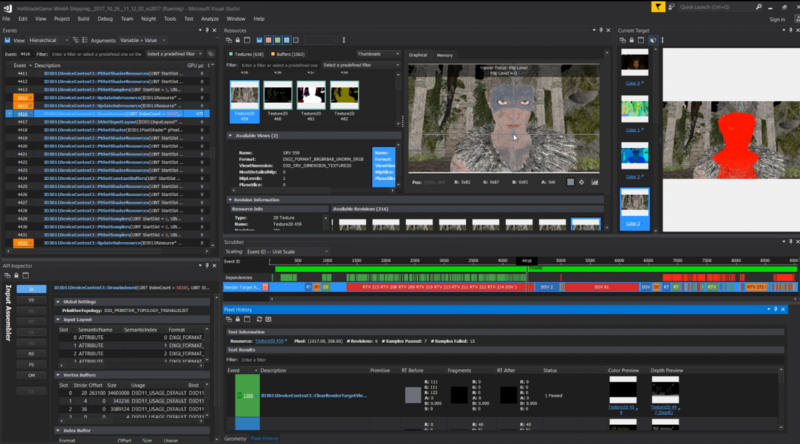 NVIDIA Nsight Visual Studio Edition 3.0 is the latest revision of the most advanced GPU-accelerated application development environment for heterogeneous platforms. Sebastien Domin, Sr. Director, Developer Tools, will present the new architecture and feature set of the product that brings CUDA and OpenGL graphics development together within the same development activities. From Debugging GLSL Graphics Shaders and CUDA kernels within the same GPU debugging session, to optimizing applications making complex use of graphics and compute multi-GPUs, from tracing Compute and Graphics asynchronous memory transfers to and from the GPU, Nsight 3.0 unleashes GPU development to a level of integration never seen before. Sebastien will use real world examples to highlight how the development of such GPU-accelerated applications can be more efficiently developed with these new and future versions. With the help of CUDA and NVIDIA GPUs, Siemens has been able to accelerate their application solutions, and have utilized Nsight Visual Studio Edition to tune and optimize their CPU & GPU code to gain better performance. In this session, the development team at Siemens will share how they have used Nsight''s features like debugging CUDA kernels, NVIDIA Tools Extension SDK (NVTX), as well as the NVTX text version (NVTXT), Source Code Correlation to squeeze the best performance out of the GPUs. Adding DirectX 11 to an existing game engine or game title can introduce performance bottlenecks in some of the new pipeline stages. In addition, DirectX 11’s multi-core support improves application performance by offloading your API state setup to other threads, but increases the complexity of your rendering code and its interactions with the runtime, driver, and GPU. Parallel Nsight’s powerful Frame Profiler and Analysis features give you the tools you need to tackle this new level of complexity. Russ will demonstrate how game developers can master these new DirectX 11 functionalities and run at full speed through the use of the latest Parallel Nsight performance analysis features. Many engine and game developers are now adding DirectX 11 to their titles and realize that the complexity and programmability has greatly increased since the DirectX 9 days. To ease the pain associated with this effort, Parallel Nsight harnesses advanced software and hardware features to assist with debugging all aspects of the DirectX 11 pipeline, ranging from pipeline setup to shader authoring. Russ will be showing how the latest graphics debugging features of Parallel Nsight can be used for the development of advanced DirectX 11 rendering effects. In this short overview video, Jeff Kiel introduces the new Dynamic Shader Editing feature of Parallel Nsight 2.1. Dynamic Shader Editing allows users to edit shader code live, while the application is running, to help with in-context shader debugging and fixing, but also help optimize shader bound situations live. A fast video that shows the new CUDA C/C++ source code debugging user experience in Parallel Nsight 2.1 with the CUDA warp watch and CUDA info page. The video also covers conditional breakpoints and source code views with mixed SASS/PTX disassembly. A quick instructional video showing how to launch, configure and collect trace data including API calls, memory transfers and kernel executions for your CUDA C/C++ program. A quick instructional video showing how to debug your Direct3D HLSL shader's source code. A quick instructional video showing how to capture a Direct3D frame live and inspect state and resources in that frame.